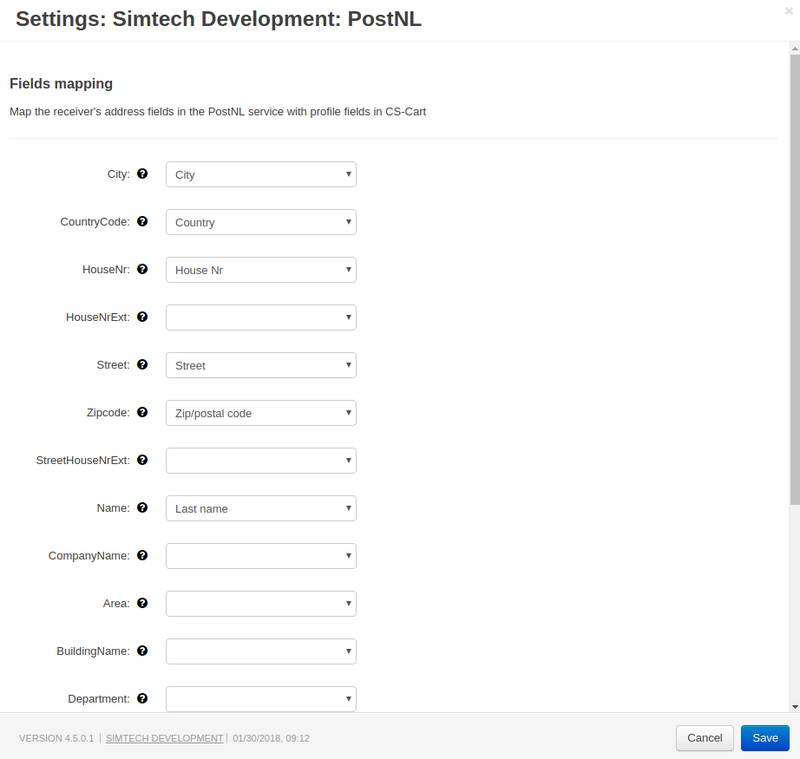 Enable the PostNL shipping method in your store. Send your parcels with PostNL, the leader in parcel shipment in the Netherlands. Get shipping rates, create shipping labels and track the packages. 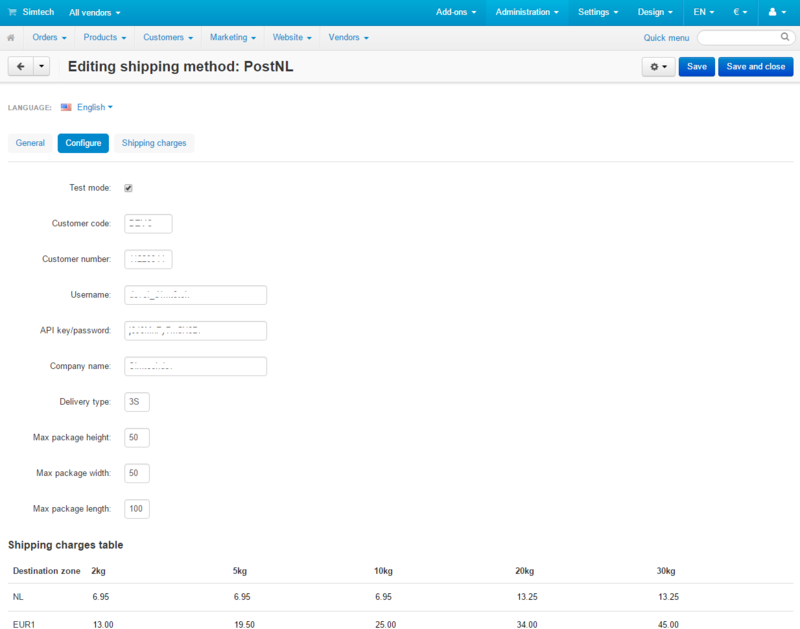 The add-on allows you to create the PostNL shipping method in your store. Normal Delivery offered by PostNL will be available for your customers. Shipping cost calculation based on data in Shipping charges table. Manually filled in Shipping charges table. Field mapping of the receiver’s address fields in the PostNL service with profile fields in CS-Cart. Label generation via SOAP request. 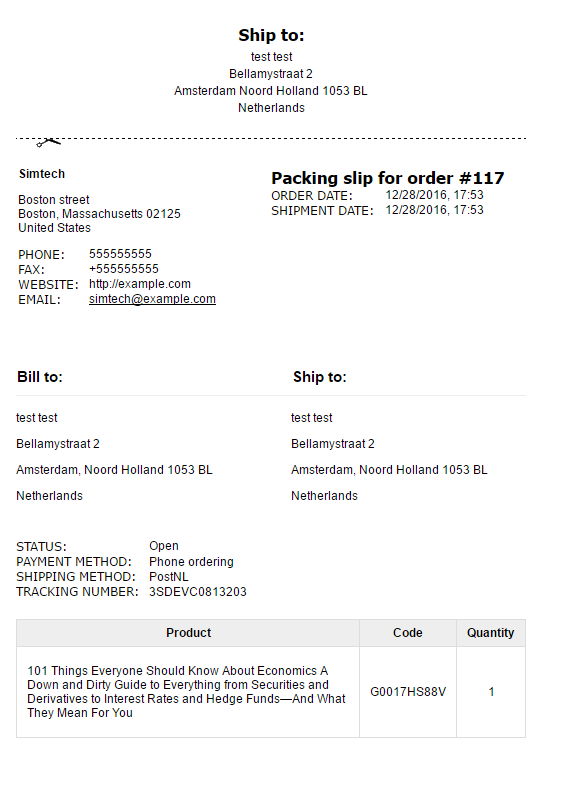 Packing slip in PDF format or screen display. 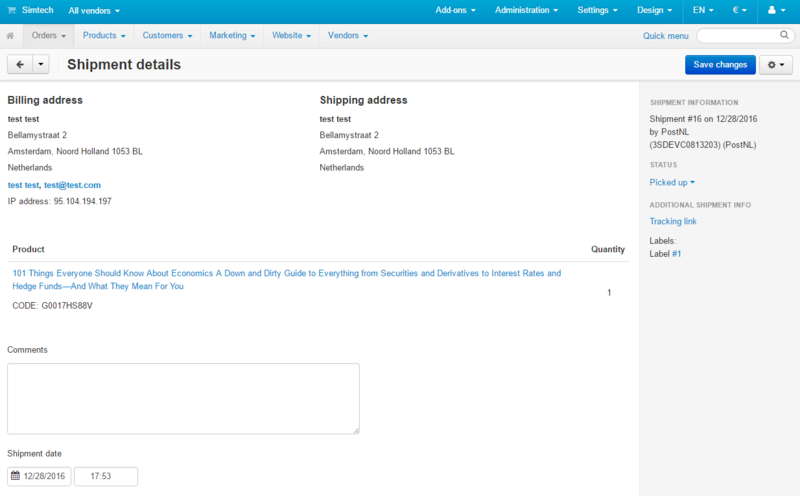 Direct link to the PostNL tracking page. [+] The license and the update option via the upgrade center have been added. [+] The ability for the administrator to add the required profile fields and mapping it with the PostNL fields has been added. [!] The labels with a bar code did not print out when disabling the Allow multiple shipments for order checkbox in the admin panel. Fixed. [~] A weight converter has been added. [!] PHP notices during shipment creation. Fixed.